OK – Just kidding! This is while we were working on a project for someone else and were using not only the Sonic but an external Roland module (via MIDI). Not shown in the picture is a PC running Sonar and that “third” keyboard was helping us do some things on that external PC. ← 2017 SummerFest is Approaching Fast! OAX / Ketron / MIDI Fun – Part 1 of ?? 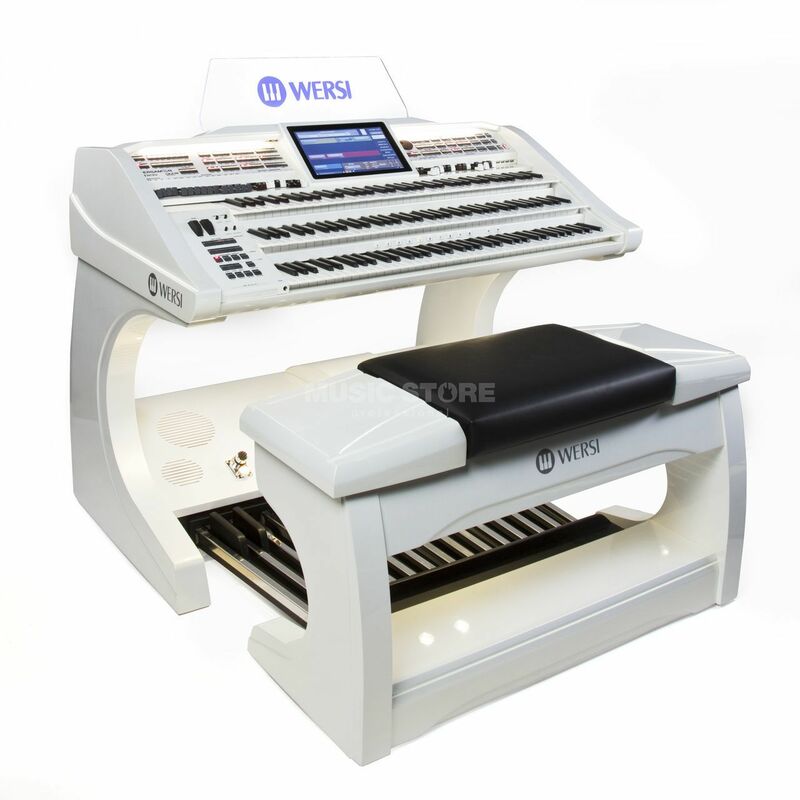 Is it possible to add a third keyboard to the OAX1 along with the pedalboard and use the voices of the Wersi on this third keyboard via the midi ports or can you only have the two keyboards and pedalboard and the third manual would be redundant or sounding the same as the lower manual ie make a Louvre/Pergamon from a OAX1? 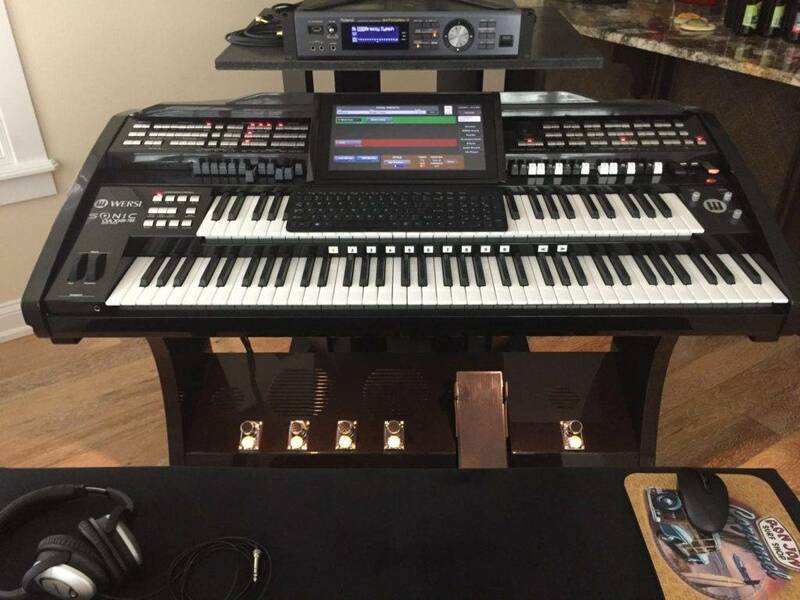 Interesting question Mark… Never touched an OAX1 but I would expect you could assign the third keyboard to a dedicated MIDI channel allowing for different sounds to be selected from the other keyboards and pedals. I’m assuming that the MIDI functions are the same on all OAX based instruments. How would you go about assigning a dedicated midi channel ie what screen or where would you do this? Let’s say you setup the external keyboard to send on MIDI channel 15. You will also need to send the msb/lsb on channel 15 to select whatever sound you want from OAX. You need to refer to that devices manuals for screens/commands needed to do that. If needed I can upload a copy of the various sounds and the location info for each sound within OAX. It’s been awhile since I had a PC connected to my Sonic but you can think of OAX as a sound module to that MIDI keyboard. The tricky part is to set things up in such away that it allows for “live playing” and it’s easy to select and change sounds from the external KB. I do like the newer Wersi OAX extended, but I wished that Wersi would still include the great styles from the original Pegasus/Golden Gate styles. That is why I never sold my old Wersi Pegasus Plus, because those wonderful styles are not available on the new Wersi. I am not complaining about the styles on my Wersi Pegasus Wing, they are fantastic too. But I wrote many songs due to my old Wersi Pegasus Plus. I would had loved if Wersi would had keep the arpeggiator/Arpeggio Magic Strip that was available on the last of the analog Wersi or the Magic Fingers Group or Wersi Vision auto arpeggiator. That strip was in between the two keyboards, as you slide your finger across the sensative strip, it would arpeggiate the upper keyboard voices. Both the Magic Fingers Group and Wersi Version (Sound Computer) was an auto arpeggiator, not available on today’s Wersi.